A fresh delight during the summer and quickly becoming a staple of diets and skin care, the avocado is something of a super fruit. Used by the Aztecs as facial masks to beautify their skin, the avocado was rediscovered in the early 1900s by the cosmetics industry, who began using its oils in creams, lotions, and facial cleansers and continue to do so today. The avocado provides essential Omega-3 fatty acids—which researchers are using in the fight against Alzheimer’s—as well as vitamins E, C, and K that prevent damage to cells and help restore those that are damaged. Of course, avocados are also delicious—by themselves, as guacamole, or in recipes for dishes from breakfast to dessert. To celebrate today, enjoy avocados your favorite way—or try a new recipe! “Mr. and Mrs. Hargraves and their two children were not very strong.” They were about to add another child to the family, and they all hoped the baby would be not be a weakling too. But when the baby was born, he didn’t like any of the food he was fed, and Mrs. Hargraves cried at how scrawny he looked. Her older children suggested she try giving him the avocado in the fruit bowl. Even though Mrs. Hargraves didn’t know how the avocado had gotten there—they never even bought avocados—she cut it open, mashed it up, and fed it to the baby. He ate it all up! Copyright John Burningham, 2000, courtesy of Red Fox. You will be glad to know that the baby is still getting stronger every day, and, of course, he’s still eating plenty of avocados. With his wry humor John Burningham is a master at making children laugh. Avocado Baby is a delightfully silly quick read with plenty of kid appeal in the story’s pint-sized superbaby. The gentle nudge to eat healthy makes the book a fun way to introduce new foods to picky eaters. Burningham’s well-known line drawings of the woe-begone Mrs. Hargrave and the baby pushing the car, chasing the burglar, and especially tossing two bullies into the pond at once will have young readers giggling and cheering. Discover more about John Burningham and his books on his website. Is it hot enough for you? Do you start to melt the minute you step outside? Are you wishing for a little rain to cool things off? Well, today may be your lucky day! Today, we celebrate that rain that feeds farmer’s crops, brings our lawns back (just a little), and gives us a good reason to stay at home curled up with a good book. Why is July 29th designated as Rain Day? Well, it may have something to do with the fact that in Waynesburg, Pennsylvania it has rained on this date 114 years of the last 142. So watch the skies and get your umbrella ready. A trip to the library or bookstore is a great idea too! It’s a rainy day and Sam is cozy on the couch reading…well, she would be if her dog, Benny, wasn’t pulling at her arm, wanting to play. “‘I’m not going to play with you. I’m reading.’” Sam tells Benny. She tries to show him how much fun reading is, but Benny doesn’t seem interested in the book Sam has. Maybe, Sam thinks, Benny would like a different book. “‘Come, Benny. We’ll go to the library. We’ll pick out a nice book just for you,’” Sam says. She grabs her raincoat from the hook, and Benny finds his leash. Copyright Marja Meijer, 2017, courtesy of marjameijer.nl. They reach the library and hurry in through the revolving door to get out of the rain. Just then they hear a voice coming from the front desk. “‘I’m sorry, young lady, but dogs are not allowed in here!’” When Sam explains, the woman thinks that a book just for Benny sounds fun, but she still can’t allow Benny to stay. Sam takes Benny outside and returns to the shelves to look for the perfect book. She finds one about knights and takes it to the big wall of windows to get Benny’s approval. She shows Benny the pictures. “Benny looks up at Sam, but then he pees against the tree.” Perhaps a circus book would be more appealing; after all, “Benny loves to do tricks with the ball.’” But when Benny sees this book, he simply turns his back on Sam. Judith Koppens’ endearing story about a little girl who wants to share her love of reading with her pet will enchant animal lovers and may inspire some child/furry friend reading time at home. Benny’s humorous displays of disapproval and approval will have kids giggling, and the book that Benny ultimately chooses will be appreciated with a laugh by dog owners. 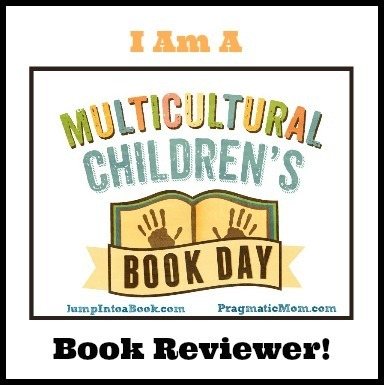 Benny’s choice also demonstrates that everyone finds different books appealing, and that sometimes it takes a little trial and error and alternate thinking to find just the right fit for reluctant readers. Marja Meijer’s cartoon-style illustrations are just right for this lighthearted tribute to a love of reading. Sam’s home is warm and cozy with pictures and photos of the most valued family member on the wall, a comfy couch, and a fuzzy rug. The blue watercolor world outside plinks with raindrops and splashes with puddles, while inside the library, the colorful stacks of shelved books offers refuge that is recognizable to all book lovers. Benny’s slobbery assent to the book Sam chooses will have readers wondering about the title, and the cover reveal will make them laugh. As Sam and Benny settle in to read, the clearing skies show that happiness really is a good book. Dialogue driven, A Book for Benny makes a great read aloud for home or classroom storytimes. Discover more about Judith Koppens, her books, illustrations, and other creative endeavors on her website. To learn more about Marja Meijer and her art, visit her website. On a rainy day you need just the right raincoat and umbrella to stay dry! These matching umbrellas and raincoats have gotten separated. Can you find the matching pairs? How do you match them up? Observed annually on the fourth Saturday of July, the day commemorates the “contributions of the Cowboy and Cowgirl to America’s culture and heritage.” The heyday of the cowboy and cowgirl came after the Civil War when Texas experienced a booming wild cattle population. As the population of the United States grew, the demand for beef increased. Cowboys and cowgirls drove nearly 5 million head of cattle north to meet the demand, sparking tales, legends, and a rich history of the Great Plains in their boot and hoof steps. With no written laws on the books, cowboys even came up with their own code of conduct, which included living each day with honestly and courage, taking pride in your work, standing up for what’s right, and many more rules to live by. For more information visit The Day of the Cowboy website. Real cowboys wake with the dawn’s light and are careful not to make too much noise for the people still sleeping in the “little houses in the hollow, and up the mountains, and at the edge of fields in the distance.” It is natural for the cowboys to think of others. Their job is to care for the herd; to help a stranded calf and their dog who is trying to lure it to safety; to soothe the herd when thunder rumbles overhead. Real cowboys sing soft, slow songs to their cows to encourage them to continue moving when the path is narrow and dangerous and to sleep when coyotes howl in the night. Cowboys are good listeners—heeding the advice and warnings of the trail boss and other cowhands. “Sometimes they listen for trucks, and wolves, and rushing water. And sometimes they just listen to the big wide world and its grass song.” Along the way cowboys keep themselves safe with their wide-brimmed hats and leather chaps. Kate Hoefler’s moving tribute to cowboys and cowgirls demonstrates the qualities of kindness, thoughtfulness, and mindfulness that we want to share with our children. With lyrical language she follows cowboys on a cattle drive, where they experience the joys and sorrows that life entails for all. Hoefler’s pacing echoes the day-to-day movement of the herd as well as readers’ daily life. Delving into the responsibilities and characteristics of these men and women is a unique way to open the world to children and promote discussions about the traits of caring individuals. Jonathan Bean’s hand-stenciled illustrations printed in four Pantone colors are particularly effective in portraying the life of the cowboys and cowgirls entrusted with herds of cattle. Early morning dawns to rose skies that color even the horses and reflect in the drinking trough. Cattle, obscured by dust raised on the trail, form the backdrop to a cowboy worriedly watching his dog coax a calf from a cliff, and afternoon turns to night in a two-page spread where a cow nuzzles her calf as it sleeps. Depictions of the enormity of the herd traveling from one place to another amid sweltering days, rain storms, and blizzards are beautifully rendered, and the emotions of the cowboys are clearly discernable and touching. Real Cowboys is stunning in both language and illustrations. For quiet story times, bedtime, or times for reflection and inspiration, this book would make an excellent addition to children’s bookshelves. To view a gallery of illustration by Jonathan Bean, visit his website! These cowgirls and cowboys have a surprise waiting for them. Can you help them round it up in this printable Rootin’-Tootin’ Round-Up Maze? Hey, dude! You don’t need to be a surfer to enjoy Get Gnarly Day! Today’s holiday is less about pitting yourself against the wild seas and more about challenging yourself to toss away old ideas and try new ones. So, whether you’re hanging ten or not, don’t be afraid to get rid of those habits, thoughts, or actions that are cluttering up your life—just like Bear in today’s book! Copyright Yuval Zommer, 2018, courtesy of Templar Books. Bear decided that stuff would make his cave just right too. He collected all kinds of stuff, like stuff with wheels, stuff with handles, and stuff in boxes. He wanted to fill up his cave top to bottom with stuff. When his friends came by to see Bear and his new home, there was no room for them amidst all the stuff. In fact, there was hardly any room for Bear “to even stretch or scratch or do any of the other things that bears generally like to do.” And when he was invited to go fishing, he couldn’t go because he got stuck in the middle of all his stuff. It took lots of pulling and tugging by his friends to free Bear from his stuff trap. Bear decided he’s had enough of stuff, so he and his friends took it all “back to the humans’ caves. Bear’s cave was empty again, but now his friends could curl up inside too, and “Bear found the perfect spot for sleeping right away” in his just-right home. Yuval Zommer’s quick romp that takes readers from the excitement of collecting all sorts of cool stuff to the realization that there really is such a thing as too much will make kids laugh as Bear enthusiastically carries home bikes and watering cans and boxes, boxes, boxes, gets stuck in the muddle, and finally pops free with a tumble. But how can Bear’s cave be so full and yet so empty at the same time? Young readers will see that it’s not the amount of stuff they have that makes a home—or a heart—feel just right, but the friends that share their space. Zommer’s beautifully detailed and textured digital art brings the forest alive with scruffy squirrels, deep, dark caves, falling leaves, and one furry Bear. His revelation of “human caves” sets up a clever “Ah-ha” moment for both kids and adults and will no doubt have children asking if they can play in the cave after reading. Zommer’s pages invite lingering to view all of the items piled on the floor, shelves, and in Bear’s cave. Readers can make a fun game of seeing how much of Bear’s stuff they have as well. Do you have some old flip-flops taking up space in your closet? With this super easy craft you can make them into pretty gnarly plant or small item holders. Today’s holiday encourages people to throw caution to the wind and embrace who they really are and what they have always wanted to do. It’s a day to overcome fears and doubts to accomplish the large and small things that will make life better. To celebrate, seize the day, do that thing—you know which one—and the best you you can be! Bloomsbury sent me a copy of Perfectly Norman to check out. All opinions are my own. I’m excited to be partnering with Bloomsbury for a giveaway of a copy of Perfectly Norman! See details below. “Norman had always been normal—perfectly normal.” He liked to hang out with his friends and eat ice cream cones and fly kites. “Until one day … he grew a pair of wings!” When Norman thought about all the ways he might grow as he got older, he never imagined that he would sprout wings. But since he had them, he thought it was kind of cool and he took off immediately to try flying. He was having tremendous fun soaring and diving, but then he heard his parents calling him in for dinner. Suddenly, Norman had doubts. “You see, Norman had always been so normal he didn’t know how his parents would feel about his extraordinary wings.” As soon as he walked in the door he put on his coat to cover them up. While his parents didn’t see his wings, they did wonder why he was wearing his coat inside. Copyright Tom Percival, 2018, courtesy of Bloomsbury Children’s Books. Norman felt happier than ever before as he understood that “there was no such thing as perfectly normal.” But “perfectly Norman?” That felt just right. Tom Percival’s celebration of what it means to be human is moving reassurance for children who—for whatever reason—feel different from the rest. Percival’s pacing—transitioning from “normal” to “not” with a page turn—mirrors the kinds of sudden realizations, doubts, and fears that many children experience. Norman’s attempts to hide his wings as well as the results this brings will also resonate with kids. Norman’s realization that it is external forces, not himself, that is making him miserable is a powerful and empowering moment for both children and adults. The recognition that Norman’s wings are what makes him uniquely him should encourage young readers to take off their own coats and soar. In poignantly metaphorical imagery, Percival spotlights a colorful Norman against black-and-white backgrounds—hinting at first of the coming change and then demonstrating Norman’s feelings of difference and isolation. While color surrounds Norman when he gets his wings and tries them out, full-color spreads come when Norman flies with outspread wings. Norman’s facial expressions are clear, and Norman’s parents—an interracial couple—show their son love and support as well as space to come to his own understanding, The last spread of the sky filled with flying children will excite and cheer readers. An important story beautifully told, Perfectly Norman should be in every home and classroom library to inspire children to spread their wings. Discover more about Tom Percival, his books, and his art on his website. Take off with this Perfectly Norman book trailer! To be entered to win, just Follow me on Twitter and Retweet one of my giveaway tweets during this week, July 26 – 30. A winner will be chosen on July 31. What color are your wings? Use these printable wing templates to show your special colors! Did you know that some moths are even more beautiful than butterflies? It’s true! Adorned in vibrant oranges, greens, blues, and reds and with patterns more intricate than the finest fabrics, moths are some of nature’s loveliest creatures. There are even moths that mimic hummingbirds—right down to the fast-beating wings and a looong proboscis that looks like a beak. During the summer, moths love visiting fragrant flower gardens. This month take a little time to really look at the moths in your yard and learn more about them and their habitats. Sleeping Bear Press sent me a copy of An Extraordinary Ordinary Moth to check out. All opinions are my own. Image copyright Steliyana Doneva, 2018, text copyright Karlin Gray, 2018. Courtesy of Sleeping Bear Press. But then a little boy runs through the yard shouting “‘A moth! A moth!’” The moth freezes against a wall, afraid and unsure and hoping to hide. But when the moth sees the excitement in the boy’s eyes, he moves “toward his joyful light.” He lands in the boy’s hands, uncertain still if he’ll be shooed away. And sure enough, the boy’s sister screams, “‘Ew, a bug!’” When she knocks her brother’s hand away, the moth flies off. 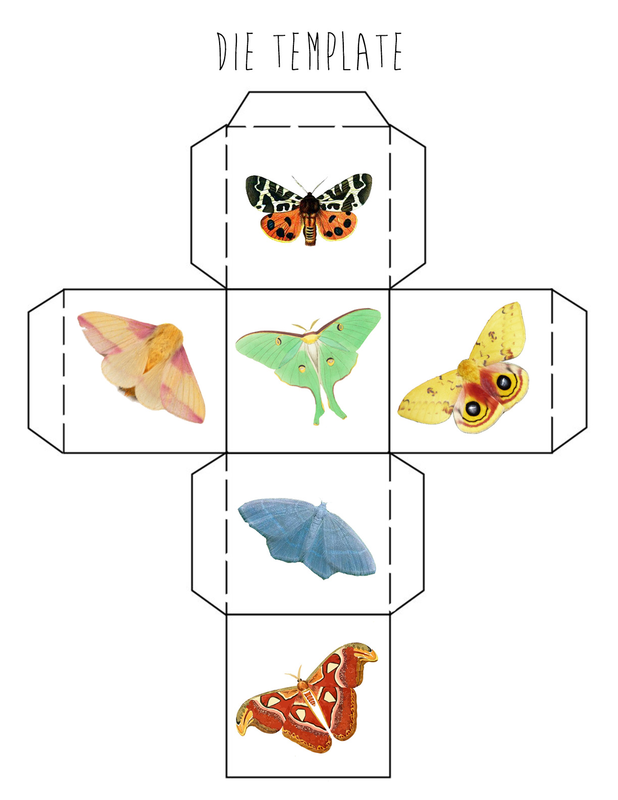 Ten Extraordinary Facts about Moths, as well as an activity for constructing a moth observation box follow the text. Through her vivacious rhymes, Karlin Gray elevates the “ordinary” back-porch moth to star status with fascinating facts that will lure kids to discover more. The conversational verses echo a sweet sibling relationship while the moth, overhearing them, begins to appreciate himself. The bookending of the children’s story with the moth’s thoughts—first comparing himself to other moths and later realizing his own merits—will encourage readers to think about the nature of nature and about the importance of positive interactions with others. Told from the moth’s point of view, the story also has a deeper meaning, reminding readers that, like this moth, people also have special talents that make them exceptional. Taking extra time to really learn about another’s unique qualities and to get to know them is exciting and has benefits for all. Steliyana Doneva’s gorgeous illustrations of moths and butterflies will dazzle insect-loving kids and convert the more squeamish. Doneva captures each delicate marking and texture of the little grayish moth as it flits in the light and camouflages itself on the wall and tree. The moth is also well spotlighted against Doneva’s vibrant backyard oasis where the little boy and his sister discover him. Nighttime scenes sparkle with starlight, and the full moon brings out the rich blues of an evening sky. The boy’s enthusiasm for moths and nature is infectious and will captivate young readers, enticing them to look closer at the world around them. 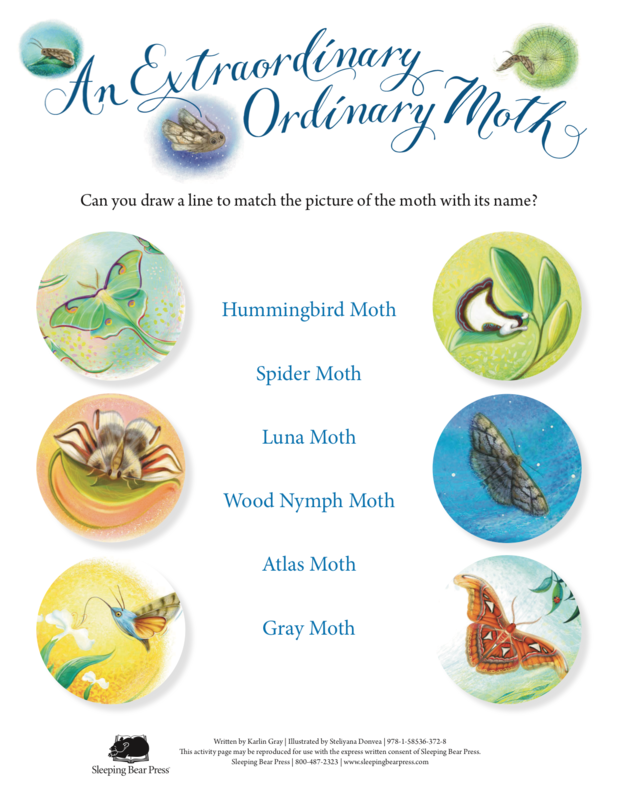 An Extraordinary Ordinary Moth is a beautiful, eye-opening book that would spur further discovery for nature and science lovers at home and in science or STEM classrooms. Discover more about Karlin Gray and her books on her website. View a portfolio of work by Steliyana Doneva and learn more about her on her website. 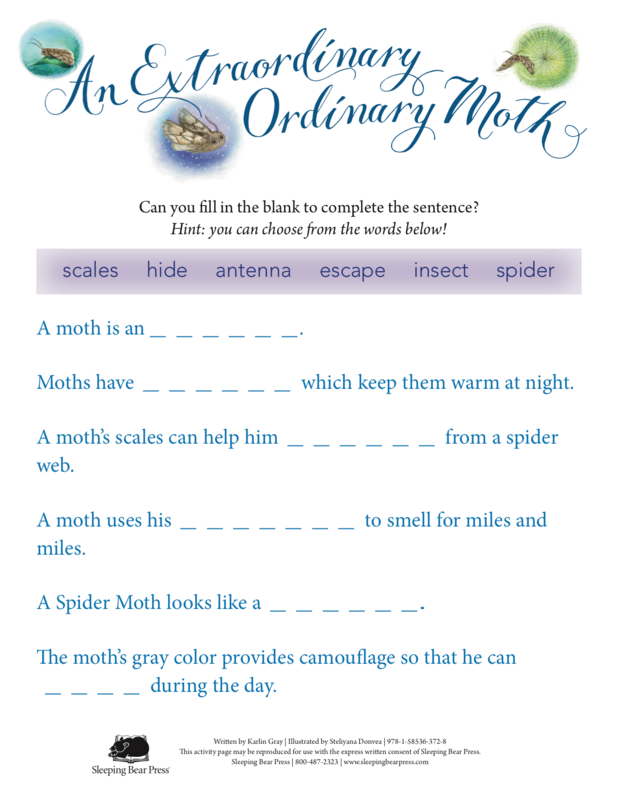 Download and have fun with these An Extraordinary Ordinary Moth Activity Sheets! 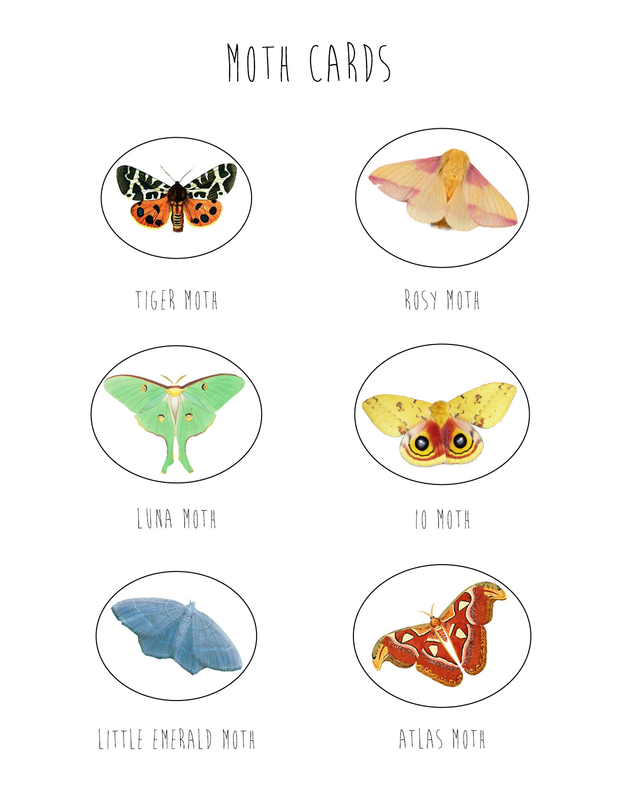 Moths go through many stages of metamorphosis—from egg to caterpillar to cocoon— before they finally emerge as a moth. 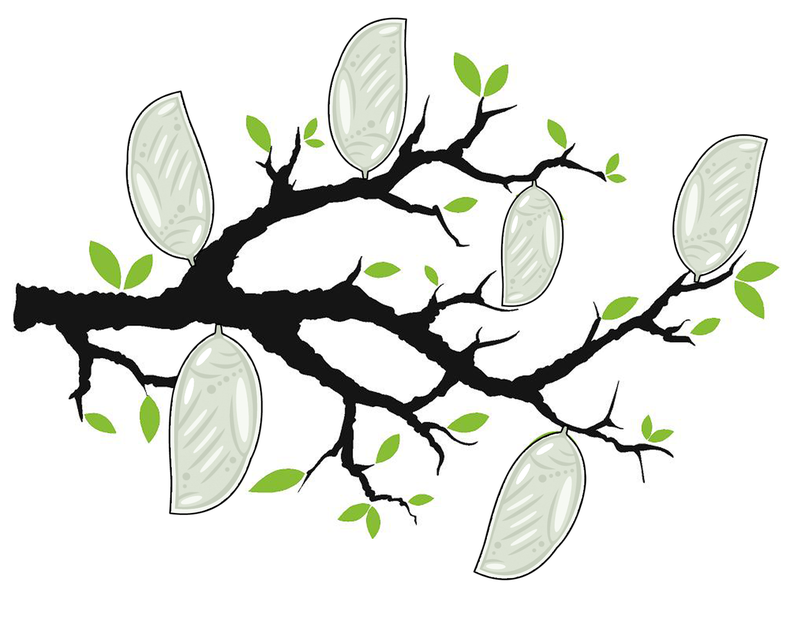 In this game, help six moths emerge from their cocoons to win! If a player rolls a moth that they already have placed on their game board, they pass the die to the next player and wait for their next turn.